This is Part 2 of a three-part series by guest writer, Ken Mann. You can access Part 1 HERE. The trial of Galileo before the Roman Inquisition is perhaps the most distorted episode in the history of science and religion. This three-part series of posts addresses the myths, complexities and lessons we can learn from Galileo’s trial. The focus on the trial, what was really at stake, was the authority of the Catholic Church. Galileo’s challenged the Church and the nearly unanimous scientific consensus of his time. In 1623, with the ascendency of Maffeo Barberini to the papacy as Urban VIII, the fate of heliocentrism seemed to have changed. Barberini was a close friend and admirer of Galileo and his work in astronomy. Over the course of six meetings with the new pontiff, Galileo came to believe that he was free to write a book on heliocentrism provided he treated it as a mere hypothesis. When Galileo completed Dialogue on the Two Chief World Systems in 1629, he had in fact gone beyond merely debating competing hypotheses. Instead, what he had written was “… nothing less than a powerful argument on behalf of the indubitable truth of heliocentrism; no reader could have understood it otherwise. Nor did one have to read between the lines to perceive this as Galileo’s purpose, for in the Dialogue itself he repeatedly claimed to have demonstrated the ‘truth’ of his conclusions.” Despite having gone through appropriate channels within the Church prior to publishing Dialogue, its reception within the Vatican was disastrous for Galileo. In addition to his overall treatment of heliocentrism, Simplicio, “… a slow-witted Aristotelian laughing stock of the dialogue,” voiced the same arguments Galileo had heard during his audiences with Urban. A letter to Florence from the Florentine ambassador describes a meeting where the pontiff “… exploded into great anger…” at the mere mention of Galileo. 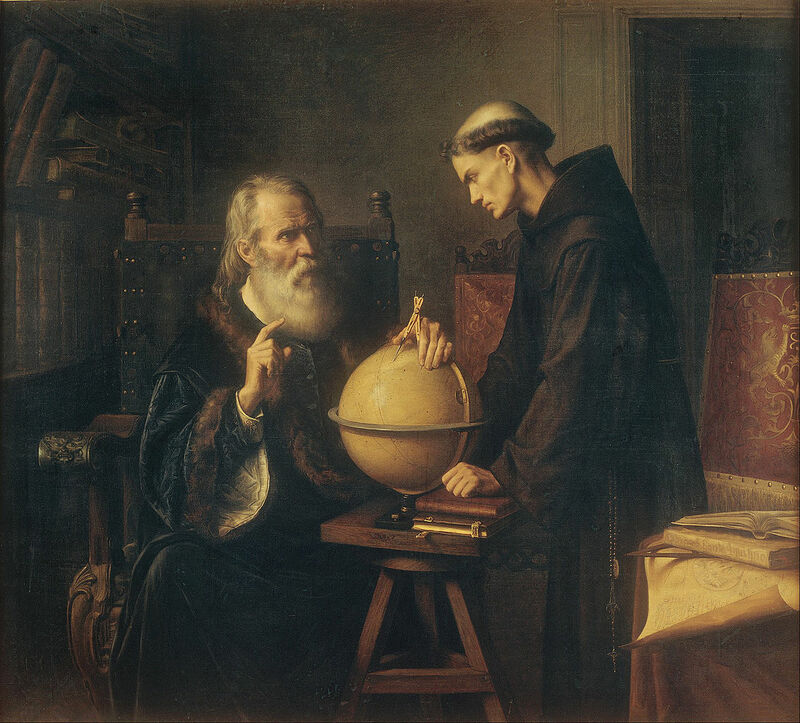 The pope believed Galileo had deceived him, as he clearly did not treat heliocentrism as a hypothesis. Further, in the character Simplicio, he made the pontiff an object of ridicule. Alienating the pope with such obvious insubordination was possibly the least of Galileo’s problems. Since Dialogue clearly advocated for the truth of heliocentrism, it violated the Congregation of the Index decree from 1616 that condemned heliocentrism as “…false and completely contrary to the Scriptures.” The same decree not only prohibited Copernicus’ book from being printed, it went on to assert that “… all other books teaching the same thing are prohibited, as the present Decree prohibits, condemns and suspends them all respectively.” The Inquisition appointed a Special Commission to investigate further. In the files of the Holy Office a memorandum was discovered which claimed that Galileo had been given a specific injunction by the Commissary General of the Holy Office to “relinquish altogether” his acceptance of heliocentrism and to no longer “hold, teach, or defend it in any way, either verbally or in writing.” Because of the weight of all this evidence Galileo was brought to trial in Rome in April of 1633. Having set the stage in terms of the historical context, let’s begin to look at the myths, complexities and lessons of Galileo’s trial. The myths, things that were at one time assumed to be true are now known to be false, are tied to the outcome of the trial, specifically that he was tortured and imprisoned. Galileo was found guilty of “vehement suspicion of heresy” for his advocacy of heliocentrism in Dialogue and for denying that the Bible is a scientific authority. In any trial, the activities of the Holy Office were kept under strict secrecy. The cardinals and those who were prosecuted never discussed the proceedings in public. Very accurate and reliable records were kept including transcripts of interrogations and even details of how the accused responded to torture. However, in the case of Galileo’s trial, under explicit orders from the Urban VIII, the sentence document and the abjuration recited by Galileo were widely distributed and printed in books and newspapers. The pope wanted Galileo to serve as an object lesson for all Catholics and to demonstrate his bona fides as a staunch defender of the faith. Two items from the sentence document are significant. First, it says that Galileo was subjected to “rigorous examination” (a.k.a. torture). Second, that Galileo was to be imprisoned at the discretion of the Holy Office. This was understood to mean imprisoned at the Inquisition palace in Rome for an indefinite period of time. If the sentence and abjuration had remained the only known documents, prison and torture administered by the Catholic Church would have remained the historical record. However, letters written by Galileo and the Tuscan ambassador to Rome that became public in the late 18th century and the release of Inquisition records on the Galileo trial in the late 19th century corrected both of these myths. The Holy Office records demonstrate fairly conclusively that Galileo did not experience any physical torture. From the records themselves, there is no indication that any physical torture took place. It seems clear that it was threatened as a possibility but never actually occurred. Further, Galileo’s advanced age (69) would have precluded the possibility of torture. As to Galileo’s imprisonment, from his arrival in Rome on February 13, 1633, until he left Rome on June 30th, only three days in June are unaccounted for where Galileo might have been held in prison. The rest of his time in Rome was spent at either the Tuscan embassy (the ambassador’s residence) or the prosecutor’s 6-room apartment. After spending 5 months at the home of the archbishop in Siena, Galileo returned to his own villa in December of 1633. He lived there until his death in 1642. Blackwell, Behind the scenes at Galileo’s trial, 4. It is contended by Blackwell (Behind the scenes at Galileo’s trial, page 6) that the specific memo was fraudulent in some fashion. That it was derived from a letter Galileo received from Cardinal Bellarmini, but altered to make writing Dialogue a clear example of insubordination. Blackwell, Behind the scenes at Galileo’s trial, 5. Ronald L. Numbers, Galileo Goes to Jail and Other Myths about Science and Religion, 1st ed. (Cambridge, MA: Harvard University Press, 2009), Kindle Location 757–760. Blackwell, Behind the scenes at Galileo’s trial, 7. Numbers, Galileo Goes to Jail and Other Myths about Science and Religion, Kindle Location 766.